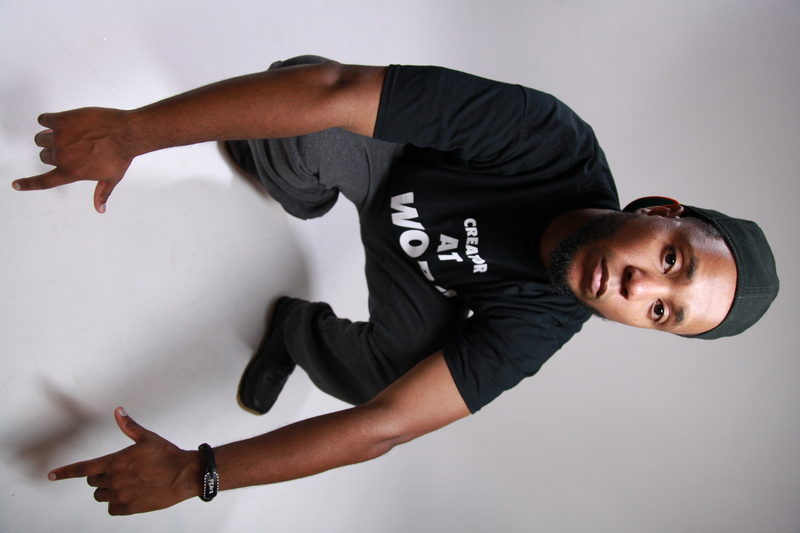 Today, we are speaking with Baltimore’s C.U.L.T.U.R.E.. How did you get into hip-hop? Hey James first and foremost thank you for taking the time to sit down and speak with me in regards to my artistry and brand. Man the road to this journey, this destiny has been a long one. I originally was just a fan of the music the scene. You know that whole Yo Mtv Raps, Rap City era once I was able to get the visuals of what was being said I was hooked. But directly to answer you my elder bro John and older cousin John yeah that’s both their governments hahaha, they are the reasons I wanted to be more than just a fan. Because of those two creative forces in my young life I decided I wanted to rhyme. Notice I said rhyme, as a young cat around 10-12 I thought Hip-Hop was just putting together words, you only needed to sound cool. But around 12 or 13 my brother John had a rap group going on at my childhood church. I liked the energy so I wanted to be apart of that. Naturally I thought just being his brother was good enough to get in the group but it wasn’t. He pulled me to the side one day after a performance and let me know that this is art, more than a melody more than just rhymes. So I shut myself in my room after that and just started listening to Nas and Wu-Tang mainly and started learning the foundation of rhyming with a purpose. Yup, I had a brother in a christian rap group, a cousin that was a well known b-boy, secular music from The GZA, Nasir all all of my mom’s and dad’s words influencing me. And thus the start of C.U.L.T.U.R.E. Can you give us a little background information about yourself, your music, and your multi-media activities? Well I am a dreamer, man of faith, shy at times artist. A son of a Pastor, yeah one of those mischievous preacher’s kid’s. 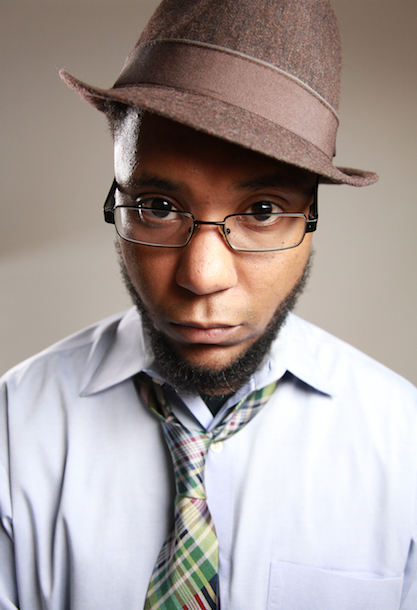 I originally thought being a Hip-Hop artist was out of reach. So after graduating High School I pursued a career in the crazy Automotive Industry. A factory trained GM technician on paper. Yes I am a certified car nut, anything with wheels on it I am intrigued. The faster, the better it handles with 2 seats a race car for the streets than you got my number. Caution don’t ask if I like Rarri’s or Lambo’s I will definitely walk out of your face with no answer. An ex street racer and street race enthusiast. Before the Fast and the Furious started a false culture amongst me and my peers. But being in the shop was cool somehow though I still felt empty. At the time I thought I could be complacent with obtaining my second dream. Weird right, most people pursue their first love and if that doesn’t pan out then they move onto plan B. I guess doing things in reverse is the curse of us left handed people hahaha. So my music comes from the life experiences good bad and the ugly. From failed relationships, to trying to wrap my mind around the violence plagued cities to me connecting on a soul crying personal reflection track. Or just offering advice from my perspective. Because I grew up in a very diverse region within Baltimore Maryland my music is for all people, men, women and children. It’s not gutter, not degrading. It uplifts because that’s what art has taught me to do. Shed light on topics kept underground. 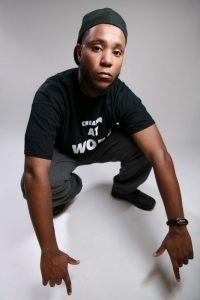 I come from a blue collar city, so I make music for the working people with dreams and aspirations. My multi-media reach has been more focused on Youtube because that’s how I connected with music. So personally as an artist I feel every project should have a visual to accompany it. That philosophy is more feasible now because of platforms like Youtube, Vimeo and the cost of doing film work is not to high now. It just fits me better. I actually can’t wait to release my next single project on my Youtube channel. So readers definitely check out my official Youtube channel like, share and subscribe!! 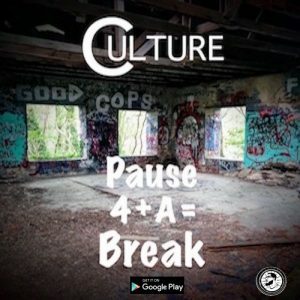 You just released a video for “Pause 4 A Break” in June. What do the visuals add to the song? How’s the overall experience different from your February single, $trings? To me the visual impact is letting the viewer know this is what Hip-hop is all about. This is how it started the graff, the dancing, emceeing. These all tie into this artform that is now more of a business than a neighborhood past time. I intentionally wanted this filmed in a park because in the birthplace of Hip-hop these events were held there. There was no club willing to allow this culture in, no formal promoters to sell tickets. In a sense this was a way to connect back to the essence . The lyrics and instrumental I wanted to have that old east coast vibe, like the message by Grandmaster Flash and the Furious Five, I wanted people to see the beat. Lastly I brought these different elements to film young and old in to to let people know change in the life does not start with one group, but change in the hood, cities and burbs is a task for all. The main contrast between “$trings” and “Pause 4 A Break” is me as an artist reflecting on heartbreak to me speaking on and also adding my voice to call for awareness for people to wake up. We must stop hurting each other and began the process of rebuilding community. So “$trings” is more personal and self centered were as “Pause 4 A Break” is focused on the world outside my window. How has Baltimore helped and hindered your career? Yeah that’s a touchy subject hahaha. I will say the Baltimore scene has made me a hard worker. Kind of natural because of the blue collar atmosphere here. It has caused me to grow, made me want to stand out in my brand and art at the same time never losing sight of who I am as a man. I have really embraced Daring to Be Different, not by image because image can be put on and taking off. A lifestyle in contrary because this is a reflection of one’s soul. My only hindrance really is I am not a Baltimore focused artist, I mean I love and respect my soil, but this plant has roots for a worldwide outreach. So I care for the community, but I know as an artist my calling is past this city’s and county’s borders. Hence the importance of creating visuals and music that can reach people across the world. I have always wanted to answer this question, I don’t think there is enough space. I will say the artist that has made an impact on my art and life Common or Common Sense depending on how far you back, my uncle Jimmy Waller, Mos Def, Nas, Kanye, Andre 3000, and Black Thought all of these artists also I admire and look up to. On the rock side it would be Incubus, Korn, Rage. Neo soul Eric Roberson, Anthony David, Erykah Badu, Ledisi. Soul and Funk Bootsy, Parliament, U2 and Curtis Mayfield. Yeah I told ya hahaha. Dream lineup, Common, The Roots, Incubus, J.Cole, Audio Push, Kindred Family Soul, P.O.D., Yuna, Joss Stone, U2 and KEM. How has your style evolved and changed over the time since you first started performing? Yes, funny thing is I only have been performing live going on two years now. I love it, the preparation the performance meeting and networking. But I started recording an album in 2014 finished it by the summer of 2015 and the song formatting and confidence is evident in later recordings. Two plugs I wanna put in while the door is open. On August 27th I will be the main feature of a show here in Baltimore. Readers can contact me for more info or just checkout my social media accounts for the details. Second plug late November early December I will be releasing my first full length studio album. Don’t want to disclose too much but it will be a healthy collection of material. The best so far has been Facebook, I am slowly grasping Twitter. The main difference for me has been at this point I cannot meet an Hip-hop fan face to face in Chicago, Cleveland, LA, Germany, Brussels or Korea just yet, so these sites help me connect across the globe thru post. What are your plans for 2016 and beyond? How can interested NeuFutur readers locate samples of your music? My major plan for the remainder of 2016 is to continue to establish my brand, continue to grow as an artist and provide consistent quality work. Release this completed album with backing visuals and connect with the fan that matters to me the most, everyday people. And stay grounded with life. Beyond go on tour one day would be a dream, I love to travel. Readers and the world can check my work on Youtube, Amazon, thru my official website and Google Play. But other outlets are being found everyday. Yes sir thank you again. Yeah two things to remember young world “The vision takes no labor to create, the work begins with the execution of the dream”. And “Although LIFE changes the DREAM never should alter” Because the race isn’t given to the swiftest but to those that endure. Peace and one L. C.U.L.T.U.R.E.